With a thriving cultural scene and rich history, Edinburgh has a lot to offer tourists and is deservingly one of the most visited destinations. The capital of Scotland is also loved by residents for its low crime rates, high salaries, affordable property and vibrant character. Steeped in heritage and yet progressive, this cosmopolitan city – which hosts a large number of festivals and events each year – is quite rightly considered to be amongst the top European cities for quality of life. Financial stability is probably one of the main advantages separating Edinburgh from other major cities in the UK. This makes it an appealing home for newcomers to settle and lay down roots. Unemployment also remains low and the average wage, proportionately high, a major draw for any young professional or growing family. Although house prices are increasing at a steady rate, Edinburgh is also considered to currently be a reasonably priced place to buy, especially in comparison to England’s capital, London. Now is the time to buy in Edinburgh, with experts predicting that by 2020 property value will show the biggest increase in the country. The promising Edinburgh economy seems to attract a lot of investors thus improving and expanding the business scene in the city. Constantly increasing numbers of large corporations and smaller start-ups, provides people with a wide range of job opportunities in a variety of industries. Although the best opportunities can be discovered in the financial and technology sector as the city continues to attract large employers and international companies. Alongside that, Edinburgh has become the home for numerous start-ups, with many already showing high turnovers and international expansion. It is no surprise that Edinburgh is showing an entrepreneurial spirit, as almost 15,000 graduates leave the four major Universities based in Edinburgh every year. World class educational institutions are attracting talented students from all over the world, and a large proportion of these students go on to work in or around the city, maintaining the city with a skilled workforce. Many praise Edinburgh for its accessibility and excellent transport links. Commuting across the city is no problem at all as most of the destinations are within walking distance. Cycling is also strongly favoured as it offers residents an economical and healthy means of travel – which also reduces carbon emissions and ensures that the city does not suffer with smog and air pollution to the same extent as others of a similar size. However, the convenient and well-developed public transport system is also an option, especially if the Scottish weather is not pleasant enough for a walk. It also has well established national and international links. Edinburgh not only provides a railway service but has a large airport very close to the city, with a variety of options for travelling in and outside the country. Finally, it is not only the convenience, economy and education that make Edinburgh one of the most sought after places to live in. Surrounded by ancient scenery, Edinburgh also has a rich cultural scene, with plenty of activities for visitors and residents to involve themselves in. Locals are spoilt for choice when it comes to eating out, having a drink or even going for a walk, with hidden underground paths and secret tunnels there is always something new to explore. Edinburgh, as we know it, is a city of history and beautiful views. Not only that it is a city of innovation, technology and good education, attracting a talented workforce and giant businesses. 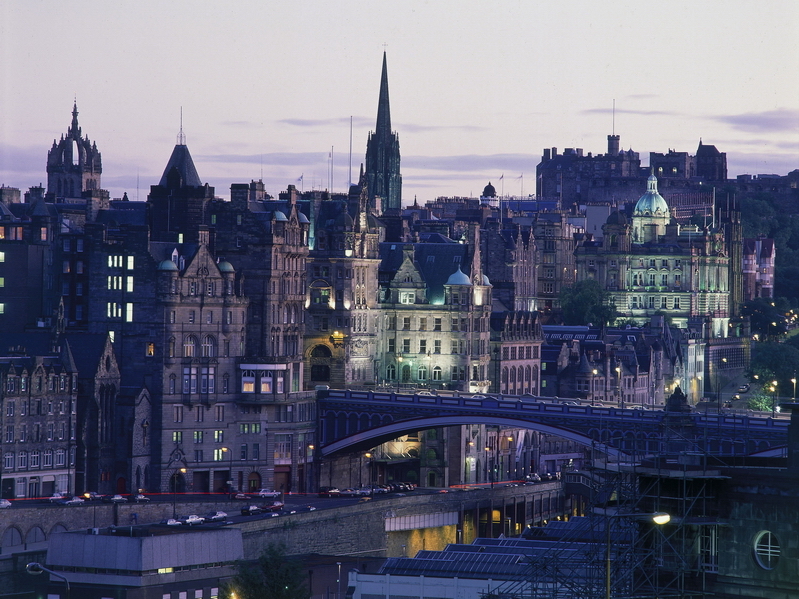 The capital of Scotland has everything it takes to satisfy your lifestyle.